The gift of seasons in our calendar is something I treasure. However, today, as I was out walking, I felt God say, “The season you are experiencing is a result of your geography, where you live and what you see around you, for this is what determines your understanding of the season you are living in.” I had this thought because I was walking in Melbourne, Australia, and here spring is bursting forth. All the plants that for me should bloom in March and April are happily flowering right now. All around me are daffodils, lilacs, camellias, azaleas in full array. But as spring is blossoming here, I am also reading reports of gales and storms in the UK with trees and leaves falling as autumn arrives in England. So which is the right season – is it spring time or fall? Is it the time to flourish and grow or prune and cut back? What do I see? As God spoke to me on my walk, I realised that seasons have a powerful message for life and the choices we make. But they are not just connected to a literal calendar date with each season being experienced all over the world at the same time but which season you acknowledge just depends on where you are living at that moment. I felt God challenge me to live in different seasons in my life at the same time! Maybe there is pruning and reshaping that needs to happen in your work life – be bold and make the cuts. Maybe there is new growth and flourishing for your children and family – give time and enjoy the new warmth. Maybe you feel the winter time on your finances – do not panic, hold fast and know what you sow will grow. Even though we live in one season in the natural we do live in many seasons in the spiritual so ask God what the seasons of your soul, life and family are and ask Him to help you navigate each season with wisdom! Gordon and I have been away from the UK for this whole month of September, travelling in Malaysia, Singapore and Australia. As we have visited these nations we have been struck by the hunger in the churches for a fresh move of the Holy Spirit. All September I have been reminded that the number “9” is the number that represents seasons of birthing biblically and I have had this feeling that God is stirring new dreams and projects in the hearts of many individuals, churches and nations. There is a Godly restlessness deep within the hearts of many with a cry for MORE! I feel that there is a new voice that will rise out of South East Asia with a fresh understanding of prayer and battle and a demonstration of the Holy Spirit. As we spent time in the churches we were amazed at their discipline to pray for world events. We were in one meeting in Singapore where they cried and prayed for the Swedish election and that God would bring the right result. To my shame I was hardly aware of the Swedish issues surrounding the election but these dear people were informed and passionate in their prayer. 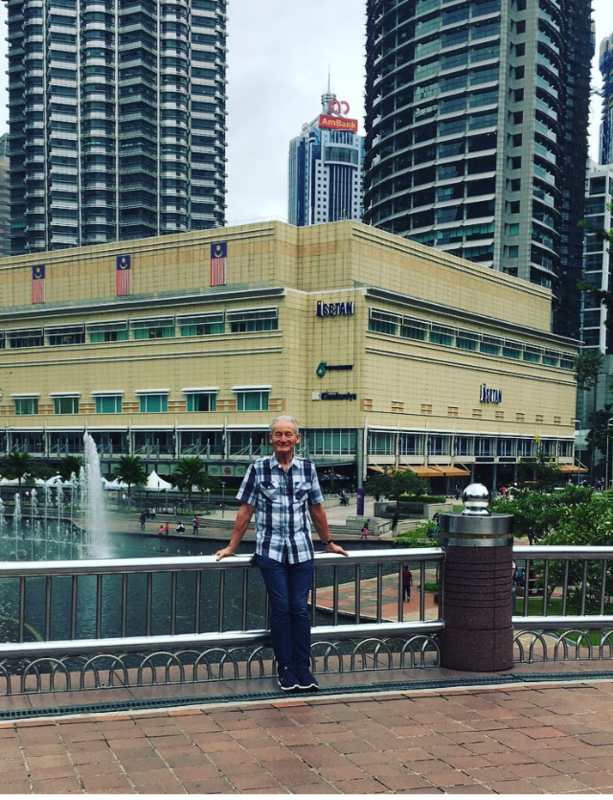 We thoroughly enjoyed reconnecting with our friends in Malaysia too. It was so good to spend time with their leaders and prophetic people and sense the new hope arising for shift and change in their nation. Gordon and I then travelled to Australia and spent time in Sydney and the Central Coast. I spoke at a Women’s event organised by Grace Howard (pictured left) at HOPE UC and was delighted to see a woman, Lydia, give her life to Jesus and her whole countenance just changed. The saving beauty of Jesus. Then we ministered in the City at C3 and were so blessed by the leaders and church. It was so good to return and be with friends and watch the power of the word on Sunday to transform lives. Now we have just had some days with the family. 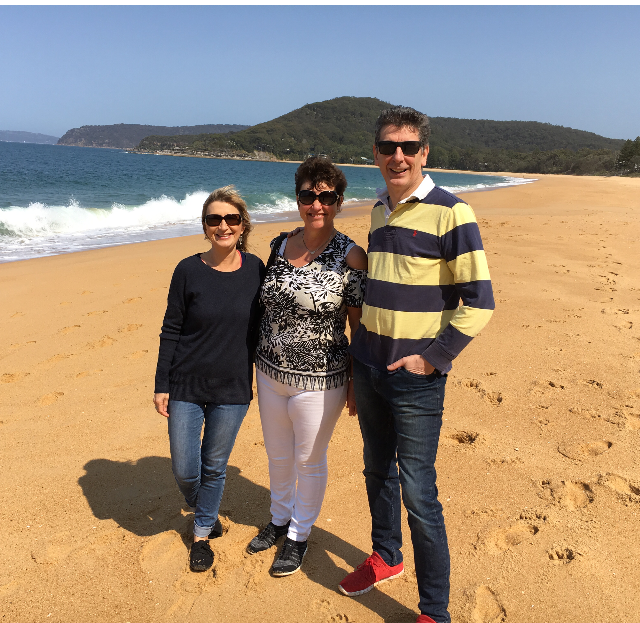 Nicola and the grandkids took some time and we visited Mt Martha and had some wonderful days walking – it was still a little cold for the beach but it was great to walk along it! During this time Helen has been busy back in the UK and holding all the pressure of the planning for 2019! She reports that our ministry schedule is almost fully booked until June next year and the second half of the year is now also filling up. So if you are still hoping to secure dates for 2019, please get in touch as soon as possible as we’d love to accommodate you. There is definitely a “back to school” feeling in the air, with everyone back at their desks and inboxes filling again. But in the midst of all the busyness, this has been a time to reflect on the direction of Heartcry’s ministry and plan some new initiatives to meet the requests and demand we have for mentoring and training. To that end, we are in the process of planning an exciting new opportunity for 2019 which we will be launching and sharing the vision for later in October so watch this space for a special email announcement! Thank you for continuing to partner with us in prayer and in supporting us financially. Rachel Hickson and Helen Azer.